Free download - programs for Windows AoA Video Joiner, NVU, Tux Paint, Fences, Folder Lock, Ashampoo Photo Optimizer, Zombie Shooter 2, PDF reDirect, Music Editor Free, ClonePartition Free download! »» Free download AoA Video Joiner! AoA Video Joiner ::: a computer program used to merge video files. AoA Video Joiner can join video files of different formats into a single film. AoA Video Joiner supports video formats: AVI, MPEG (MPEG-1, MPEG-2), MOV, WMV, ASF, VCD and SVCD. NVU ::: a computer program used to create web pages. Nvu is a free alternative to professional programs FrontPage, Dreamweaver or Composer. With Nvu you can create Web pages without having much knowledge or know how to write HTML. »» Free download Tux Paint! Tux Paint ::: a drawing program for children. Tux Paint is used in particular for children to draw and become accustomed to using computers. With Tux Paint a child can do whatever he want: coloring, erase, line drawing etc.. Fences ::: a computer program used to organize your desktop. With Fences you can arrange the shortcut icons on your desktop to the most effective way possible. With Fences you can organize your desktop icons in separate windows semitransparent and put them anywhere on your desktop. »» Free download Folder Lock! Folder Lock ::: a computer program that allows users to protect data. Using Folder Lock, you can block access to files, folders or drivers. An interesting feature offered by Folder Lock, is that it allows data encryption. 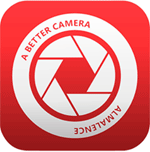 »» Free download Ashampoo Photo Optimizer! Ashampoo Photo Optimizer ::: a computer program used to improve and correct errors in photos. Ashampoo Photo Optimizer is a digital image editing program that allows most editing operations. With Ashampoo Photo Optimizer can: remove red eye, change colors, rotate the picture, resize or change the brightness or saturation. »» Free download Zombie Shooter 2! Zombie Shooter 2 ::: an action game for PC. Zombie Shooter is a shooting game that is played at different levels, with varying degrees of difficulty. In Zombie Shooter the main objective is to kill as many zombies as possible. »» Free download PDF reDirect! PDF reDirect ::: an useful program for the computer used to create PDF files. With PDF reDirect can create standard, universal and safe PDF files. PDF reDirect lets you create PDF files from most text documents. 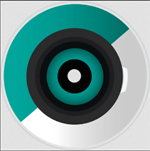 »» Free download Music Editor Free! Music Editor Free ::: a computer program used to edit music files. Music Editor Free is used in particular to edit the sound, the program allows: cut, paste, insert, delete, etc..
With Music Editor Free can to add some sound effects: amplification, normalization, conversion, has an equalizer etc..
ClonePartition ::: a computer program that is used to clone partitions. With ClonePartition you can copy all data from one partition to another. With ClonePartition you can copy a partition or the entire hard disk, depends on what you need.